When I was born, my parents named me “Jerry” not “Geri.” They named me after my Uncle Jeremiah. Jews name children after those who are deceased. The spelling of my name presented so many problems in school….on my swimming team (the other teams thought I was a boy) and it just never ended. So, in my teens I changed the spelling to Geri (a nick name of sorts). My father was not happy about this, but I thought that “Geri” was more feminine. He finally accepted it. I had no idea of the implication of my parents naming me after “Jeremiah” the crying prophet. I was saved in 1983, and the depression I had fought since I was very young actually worsened. There isn’t a day that goes by that I don’t find myself in tears. I cry over my people Israel. I want to take them in my arms and make them understand about the things which are to come. But I know that I can’t. An orthodox Jew from Israel sent me a request to be my friend on FB today. I accepted his friendship. Soon after, he invited me to become part of a FB group of people to pray for the building of the 3rd Temple. When I saw that, I could hardly breath. I wrote to Ephraim. I told him that I am a Jewish believer in Yeshua (Jesus). I told him that I had much to tell him about this 3rd Temple and the one who will come and offer to help Israel to build this Temple. He has not responded. He doesn’t understand. His eyes are not opened. Again I wept, knowing that this man very well may go through the Tribulation and will finally understand that this “savior” who will deceive my people, is really satan. I don’t know if Ephraim will be in the 2/3 who perish, or if he will escape to the hills. I love Amir. God is using him in such an incredible way in Israel and around the world. I sent Amir Ephraim’s name and asked if he would befriend him. I feel so inadequate to witness to Ephraim, but the Lord reminded me that I have His Holy Spirit indwelling me, and that He is with me always. I used to ask God almost every day to take this sadness – this depression away from me. Alas – it is still here. It is part of me. It makes me who I am in Christ. I am crying even as I write this piece. Are you a Christian who suffers from depression? Maybe God is telling us to embrace this and not to view it as a shortcoming in us. I have never taken antidepressants. Be sure that I am not telling anyone who is on these meds to stop. Listen to the Lord. It may be that you need help in getting through each day, and the meds may be needed at this time. Hard times are coming but so is our Glorious Savior! We who live in America have never seen our country in the condition it is in today. Christians have become public enemy number one. Over 58 million innocent babies have been legally slaughtered in the wombs of their mothers. The homosexual agenda is promoted. gay marriage is now legal across the land. The continual influx of Muslim refugees come into our country; if Europe is a foreshadowing of things to come here – America is in much trouble. But we do need to continue in prayer for the Muslim people – that they will be freed from their satanic religion, and come to know Jesus as their Savior. I believe that we are in the end of the end times. Every day I expect to hear the trump sound and in the twinkling of an eye we will be in His presence! This is the only thing that keeps my sanity intact. Today I felt like I was in a hole. Honestly I wished that I would go back to sleep and not wake up. I hope I am not shocking my readers when I say this. I was in deep despair. I was thinking about my children who have fallen away from Yeshua, and what they will go through. I was thinking about Israel, especially after I was contacted by Ephraim. Everything was just too much to bear. “Trust in the Lord with all thine heart; and lean not unto thine own understanding. In all thy ways acknowledge him, and he shall direct thy paths” (Proverbs 3: 5-6). I will still cry. I will still fight the depression. But HE knows that I am but dust. He understands my despair. He does not condemn me for these these things. He beckons me to come to Him and to give him all of my sorrows. “Come unto me, all ye that labour and are heavy laden, and I will give you rest. Take my yoke upon you, and learn of me; for I am meek and lowly in heart: and ye shall find rest unto your souls. For my yoke is easy, and my burden is light” (Matthew 11: 28-30). He is coming soon – do not lose heart. 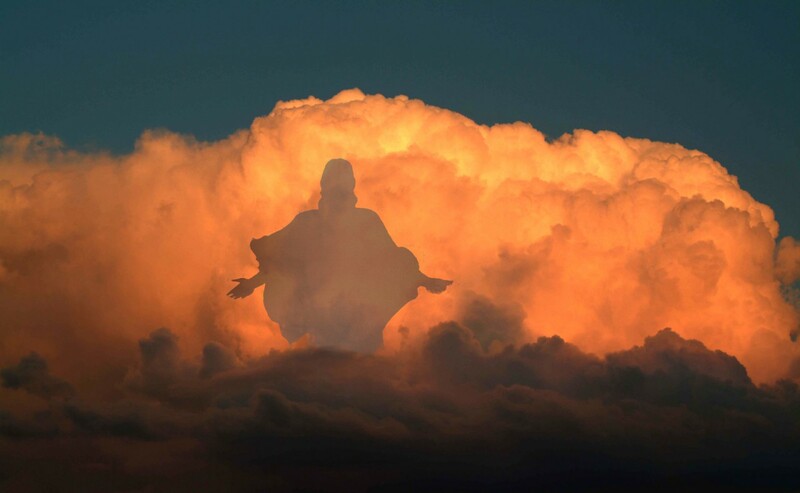 “For the Lord himself shall descend from heaven with a shout, with the voice of the archangel, and with the trump of God: and the dead in Christ shall rise first: Then we which are alive and remain shall be caught up together with them in the clouds, to meet the Lord in the air: and so shall we ever be with the Lord. Wherefore comfort one another with these words” (1 Thessalonians: 16:18). This is one of the finest pieces of writing I have read. I understand all that you said perfectly. Thank you for your openness. I am not sure I could do the same. How is your husband doing these days, still okay? Yes, my hubby is doing so well – thank you for asking! I know how you feel. I have family who are Jewish…on my father’s side. They don’t get it. Hopefully one day they will. I also suffer from depression and don’t rely on antidepressants. I have prayed for deliverance from this affliction to no avail….it must be part of my intended journey. I always enjoy your writings…thanks for being a beacon of light. May I friend you on Facebook? I will go there now to extend an invitation. I remember you in prayers Geri, thank you for your writings and faithfulness to The Lord who sends you. These sufferings of ours are quite small in comparison to what our Lord suffered on our behalf yet they too are used for our good to keep us safe in His will by keeping us humble and dependent on The Lord and not on our own strength. When we are weak He is strong in us and We can do all things through Christ who strengthens us. I too have a thorn in my flesh but I know that without it I would be hindered by my once natural strength and strong independence. This suffering has been turned for good in my walk with The Lord and He has taught me much through endurance in suffering. I still pray for it to be removed from time to time but I am quite surrendered to having it as long as I live in this world if The Lord deems it necessary to keep me dependent on Him in all things. He knows what I am like and I agree with Him against my natural self these days although it has taken a long time to come to this place. Blessed rest! Thank you for sharing the personal daily life you live. I would suggest that we all have a thorn in the flesh yet not all know what that thorn is. In your case you can understand and feel what the fallen world is again doing to the heart of God. God has given you the ability to understand things others don’t. With that understanding I’m sure He will also give you all you need to cope with it. I pray you will continue to see what is going but with a calm assured knowledge that will lift you up instead of down. That was so beautiful said. Thank you so much, brother. but I’ve never felt it was depression. It’s more like extreme empathy. It’s like a sadness for someone. I can easily see it in people’s eyes and in their manner. When I’m close to them I can actually feel it. I’ve always believed it was God’s sadness for the lost and it is my gift to carry they’re burden. It alerts me to pray…sometimes for particular people and sometimes just out of obedience to God, knowing that someone somewhere, needs prayer. it will come…strongly…putting me to desperate tears. So, I stop and I pray…hard! Then it’s gone. I also have an extremely hard time with emotional music. Jesus crying for the lost. The Joy of the Lord is always with me. Love the lost with your tears. Thank you Geri. Your heart is right and you have a counsellor you don’t have to explain to in detail. He know all. Yeshua is My counsellor that NO person can be to me. Hashem has given you LOVE . . . . and that’s all you need to fulfill your mission. Shalom, Maranatha! Geri–I know exactly what you are speaking of. I share every one of those “afflictions”. I deal with depression, sadness for my brethren in Israel, a lost family that has cut me off from contact, just the awareness every day, when I meet new people, how unaware they are of what is to come. I cry myself to sleep many nights and cry out to Yeshua. I feel bad that you are going through this but at the same time, it helps to know I am not the only one, because sometimes it feels like I am alone. Thank you so much for sharing. Prayers and blessings for shalom. That lady is me. I write for Rapture Ready as well. My last name is spelled Ungurean.